We are very pleased to announce our newest innovation, which we call the 'Marshall Plate' (after a friend who helped inspire the idea). Now available for our hurdy gurdies. What does the 'Marshall Plate' do? This adjustment allows you to very quickly & easily change the instrument's 'action'. The 'Marshall Plate' mechanism changes how hard you have to press the buttons in order to get a note. It's the equivalent of changing how hard you would press the strings on a guitar. With the simple turn of two screws, the action is instantly dialed in to your tastes. For example, you can set up very easy action, so you barely press the buttons at all to get various notes, or you can set it so you can really 'whale' on them (if you're an agressive player). Or...you can do a combination- setting the lower register with heavier action and the upper registers with lighter action (or vice versa). The adjustment is very intuitive, and easily accomplished with a household screwdriver! Best of all, it doesn't otherwise affect the 'setup' of the instrument. 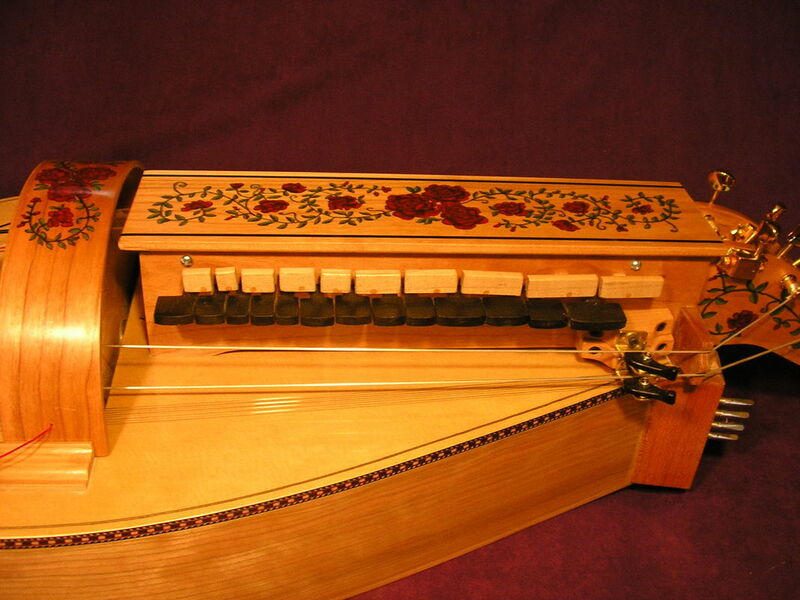 We've played for years without it, as have countless other hurdy gurdy players. now that we've playtested it and put it through it's paces, we can't imagine ever playing without it again! 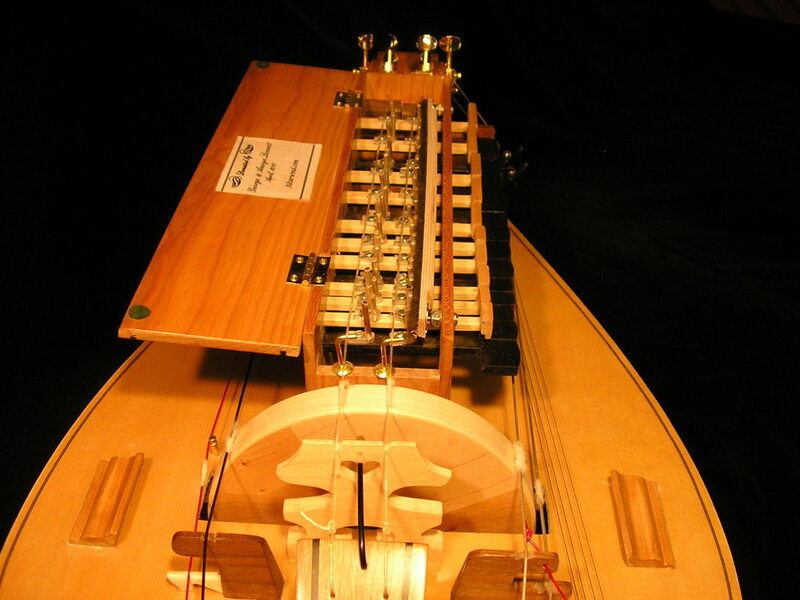 We set it up in the shop before shipping, so (if you choose) you never need worry about this aspect of the instrument. But it's a wonderful option to have. This adjustment is especially ideal for people dealing with wrist/ joint issues (such as carpel tunnels syndrome). By changing the action of the instrument, you are also changing the impact on your hands.